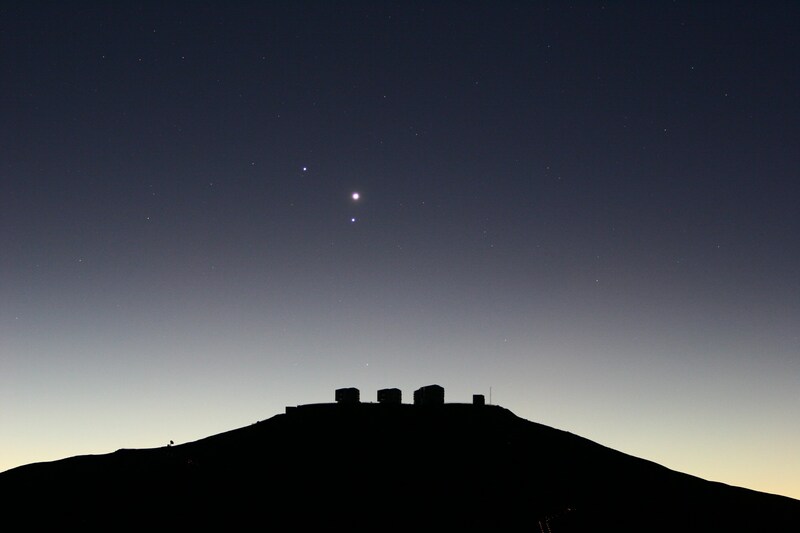 Explanation: Very bright planets and very large telescopes are part of this sunset view of Paranal Observatory. 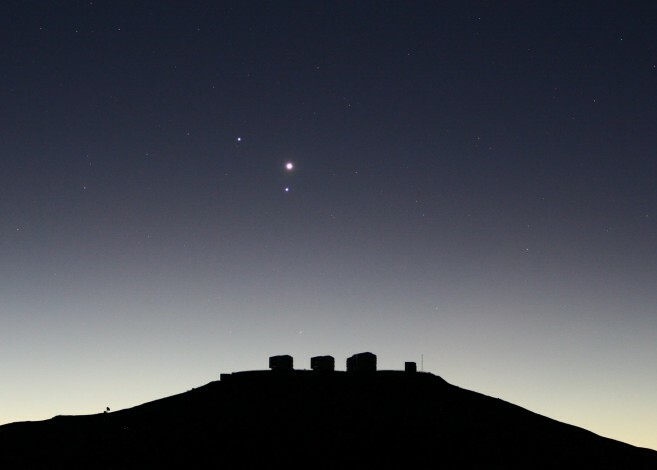 The observatory's four, massive 8.2 meter telescope units are situated on top of the 2,600 meter high mountain, Cerro Paranal, in the dry Atacama Desert in northern Chile. The individual unit telescopes can be used separately or in combination and are named Antu, Kueyen, Melipal, and Yepun. Together they are fittingly known as the European Southern Observatory's Very Large Telescope. Of course, the very bright planets are Venus (near center), joined by Mercury (below) and Saturn (left) in late June's western evening skies.